Reasons to Love Boating on Lake Cascade! 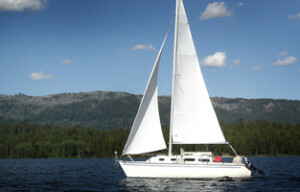 The majority of local water sports take place on Lake Cascade. Boating, water-skiing and jet-skiing are very popular. Several regattas are held during the summer and there are excellent facilities for launching and docking your boat with ramps, handling docks, and a life jacket loaner station Lake Cascade and Warm Lake, two of the most scenic lakes in Idaho are just 25 miles apart providing options that offer the best of both worlds.